The unique nature of the pay structure in the Transportation and Logistics industry creates immense time and attendance and payroll challenges. A time and attendance system needs to be able to track hours, jobs and distances traveled, and then reconcile that against dispatch and logging information to ensure accurate payroll and compliance with industry and safety regulations. Operators must manage and track labor costs for both hourly and line haul staff through a centralized time and attendance management function. Increase accountability with centralized tracking of hours, miles and attendance. 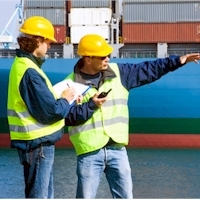 Avianco's solution put the processes critical to transportation and logistics workforce management in the hands of the organization and its team leaders and administrators. Avianco's scalability, both in terms of number of users and system capability, makes it the perfect solution for any size organization. Additionally, Avianco's flexibility allows it to meet the specific needs of many logistics oriented industries. Automated tracking of jobs, distance and premiums reduces the need for expensive and time-consuming manual tracking and reconciliation, and provides accurate payroll with reduced administrative effort. Increase operational efficiency for hourly staff through Avianco's scheduling tools. Ensure that the right staff with the right skills are in the right place, at the right time. Web-based access provides connectivity to all service hubs and remote stations. Improve resource productivity and satisfaction through self-service access to frequent administrative processes, such as leave requests, shift trading, and schedule management. Avianco provides Transportation and Logistics organizations a complete workforce management solution that leverages existing technology investments through pre-built integrations with ERP, HRMS and other systems, as well as a variety of clocking hardware.